Match ends, Milan 3, Frosinone 3. Second Half ends, Milan 3, Frosinone 3. Mario Balotelli (Milan) hits the bar with a right footed shot from the right side of the box. Assisted by Juraj Kucka. Attempt blocked. Robert Gucher (Frosinone) right footed shot from outside the box is blocked. Assisted by Arlind Ajeti. Robert Gucher (Frosinone) wins a free kick in the defensive half. Goal! Milan 3, Frosinone 3. Jérémy Menez (Milan) converts the penalty with a right footed shot to the bottom left corner. 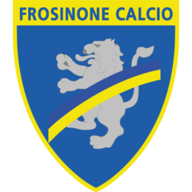 Vasiliy Pryima (Frosinone) is shown the yellow card for hand ball. Penalty conceded by Vasiliy Pryima (Frosinone) with a hand ball in the penalty area. Attempt blocked. Mario Balotelli (Milan) left footed shot from the centre of the box is blocked. Assisted by Luca Antonelli with a cross. Attempt missed. Mario Balotelli (Milan) left footed shot from outside the box is high and wide to the left. Assisted by Juraj Kucka. Corner, Milan. Conceded by Aleandro Rosi. Attempt missed. Juraj Kucka (Milan) header from the centre of the box is too high. Assisted by Mario Balotelli with a cross following a corner. Corner, Milan. Conceded by Adriano Russo. Offside, Frosinone. Daniel Ciofani tries a through ball, but Luca Paganini is caught offside. Delay in match Francesco Bardi (Frosinone) because of an injury. Substitution, Frosinone. Aleandro Rosi replaces Oliver Kragl. Substitution, Milan. Jérémy Menez replaces José Mauri. Juraj Kucka (Milan) wins a free kick in the attacking half. Foul by Oliver Kragl (Frosinone). Attempt saved. Robert Gucher (Frosinone) right footed shot from outside the box is saved in the centre of the goal. Assisted by Paolo Sammarco. Goal! Milan 2, Frosinone 3. Luca Antonelli (Milan) left footed shot from the centre of the box to the top right corner. Assisted by Alex with a headed pass following a corner. Substitution, Frosinone. Robert Gucher replaces Federico Dionisi. Substitution, Milan. Luca Antonelli replaces Ignazio Abate. Corner, Milan. Conceded by Mirko Gori. Attempt saved. Juraj Kucka (Milan) right footed shot from outside the box is saved in the centre of the goal. Assisted by José Mauri. Delay in match Alex (Milan) because of an injury. Delay in match Daniel Ciofani (Frosinone) because of an injury. Alex (Milan) wins a free kick in the defensive half. Foul by José Mauri (Milan). Substitution, Frosinone. Vasiliy Pryima replaces Roberto Crivello. Juraj Kucka (Milan) wins a free kick in the defensive half. Mirko Gori (Frosinone) wins a free kick in the defensive half. Attempt missed. Daniel Ciofani (Frosinone) header from the centre of the box misses to the left. Assisted by Mirko Gori following a set piece situation. Hand ball by Mario Balotelli (Milan). Offside, Milan. Mattia De Sciglio tries a through ball, but Mario Balotelli is caught offside. Federico Dionisi (Frosinone) is shown the yellow card for excessive celebration. Goal! Milan 1, Frosinone 3. Federico Dionisi (Frosinone) left footed shot from the centre of the box to the bottom right corner. Riccardo Montolivo (Milan) wins a free kick in the defensive half. Roberto Crivello (Frosinone) wins a free kick in the defensive half. Goal! Milan 1, Frosinone 2. Carlos Bacca (Milan) left footed shot from very close range to the centre of the goal. Attempt saved. Alex (Milan) right footed shot from outside the box is saved in the centre of the goal. Assisted by Alessio Romagnoli. Attempt missed. Mario Balotelli (Milan) right footed shot from the centre of the box misses to the left following a set piece situation. Penalty saved! Mario Balotelli (Milan) fails to capitalise on this great opportunity, right footed shot saved in the bottom left corner. Adriano Russo (Frosinone) is shown the yellow card for hand ball. Penalty conceded by Adriano Russo (Frosinone) with a hand ball in the penalty area. Attempt blocked. Mattia De Sciglio (Milan) right footed shot from outside the box is blocked. Assisted by Riccardo Montolivo. Second Half begins Milan 0, Frosinone 2. First Half ends, Milan 0, Frosinone 2. Foul by Mattia De Sciglio (Milan). Matteo Ciofani (Frosinone) wins a free kick in the defensive half. Carlos Bacca (Milan) wins a free kick in the attacking half. Foul by Adriano Russo (Frosinone). Oliver Kragl (Frosinone) is shown the yellow card. Juraj Kucka (Milan) is shown the yellow card. Ignazio Abate (Milan) wins a free kick on the right wing. Foul by Roberto Crivello (Frosinone). Goal! Milan 0, Frosinone 2. Oliver Kragl (Frosinone) from a free kick with a left footed shot to the bottom right corner. Hand ball by Juraj Kucka (Milan). Attempt saved. Keisuke Honda (Milan) left footed shot from outside the box is saved in the top left corner. Assisted by José Mauri. Foul by Carlos Bacca (Milan). Adriano Russo (Frosinone) wins a free kick in the defensive half. Francesco Bardi (Frosinone) is shown the yellow card. Attempt missed. Carlos Bacca (Milan) header from the centre of the box misses to the left. Assisted by Mario Balotelli with a cross following a set piece situation. Mario Balotelli (Milan) wins a free kick in the defensive half. Foul by Keisuke Honda (Milan). Attempt saved. Alex (Milan) with an attempt from the left side of the six yard box is saved in the top left corner. Assisted by Keisuke Honda with a cross. Corner, Milan. Conceded by Luca Paganini. Corner, Milan. Conceded by Francesco Bardi. Attempt saved. Juraj Kucka (Milan) right footed shot from the right side of the box is saved in the bottom right corner. Assisted by José Mauri. Hand ball by Oliver Kragl (Frosinone). Corner, Frosinone. Conceded by Riccardo Montolivo. Attempt missed. Keisuke Honda (Milan) left footed shot from the centre of the box is high and wide to the right. Assisted by Mattia De Sciglio with a cross. Attempt saved. Mario Balotelli (Milan) right footed shot from outside the box is saved in the bottom right corner. Assisted by Alessio Romagnoli. Offside, Frosinone. Paolo Sammarco tries a through ball, but Federico Dionisi is caught offside. Mario Balotelli (Milan) is shown the yellow card for a bad foul. Offside, Milan. Mario Balotelli tries a through ball, but Alessio Romagnoli is caught offside. Attempt saved. Juraj Kucka (Milan) with an attempt from very close range is saved in the top centre of the goal. Assisted by Keisuke Honda with a cross. Corner, Milan. Conceded by Matteo Ciofani. Attempt blocked. Carlos Bacca (Milan) right footed shot from the centre of the box is blocked. Assisted by Juraj Kucka. Offside, Frosinone. Luca Paganini tries a through ball, but Federico Dionisi is caught offside. Delay in match Federico Dionisi (Frosinone) because of an injury. Mirko Gori (Frosinone) is shown the yellow card for hand ball. Hand ball by Mirko Gori (Frosinone). Attempt blocked. Carlos Bacca (Milan) right footed shot from the centre of the box is blocked. Corner, Milan. Conceded by Roberto Crivello. Attempt missed. Daniel Ciofani (Frosinone) right footed shot from the left side of the box misses to the left. José Mauri (Milan) wins a free kick in the defensive half. Attempt missed. 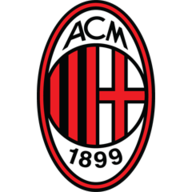 Juraj Kucka (Milan) header from the centre of the box misses to the left. Assisted by Mario Balotelli with a cross following a set piece situation. Paolo Sammarco (Frosinone) is shown the yellow card for hand ball. Hand ball by Paolo Sammarco (Frosinone). Attempt missed. Paolo Sammarco (Frosinone) right footed shot from outside the box is too high. Attempt missed. Alex (Milan) header from the centre of the box is too high. Assisted by Mario Balotelli with a cross following a corner. Corner, Milan. Conceded by Oliver Kragl. José Mauri (Milan) wins a free kick in the attacking half. Hand ball by Daniel Ciofani (Frosinone). Corner, Frosinone. Conceded by Alessio Romagnoli. Attempt blocked. Daniel Ciofani (Frosinone) right footed shot from the right side of the box is blocked. Goal! Milan 0, Frosinone 1. Luca Paganini (Frosinone) right footed shot from outside the box to the bottom left corner. Assisted by Daniel Ciofani.